The puppies have a new dog den! Today was a fun day because I helped mum create a new dog den in the laundry room. 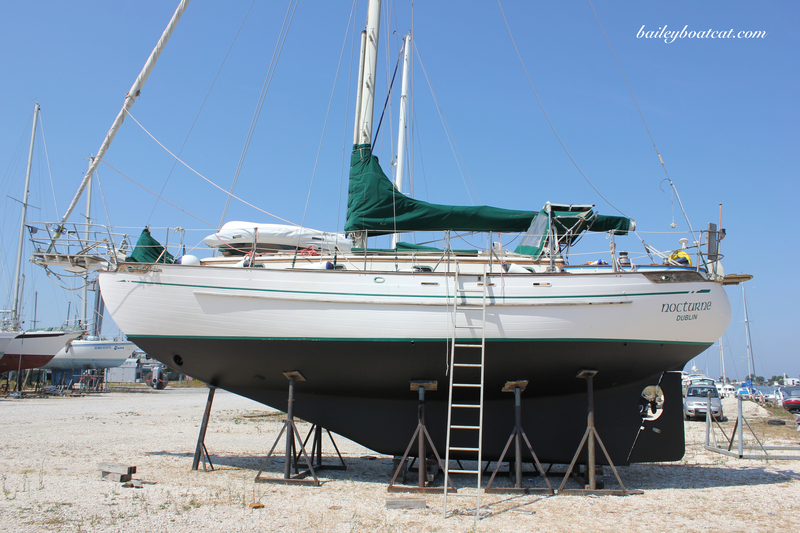 (She’s still very excited about even having a laundry room, because when we lived on the boat full time she used to have to go to the laundrette!) 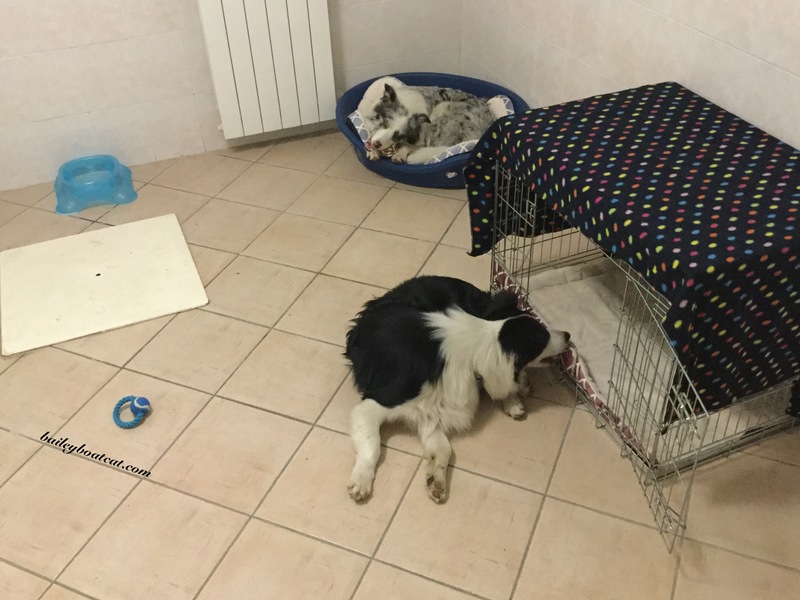 As most of you know April has a huge crate In the lounge that she sleeps in at night, and Blue sleeps in a dog bed on the floor in the bedroom with the humans and I. 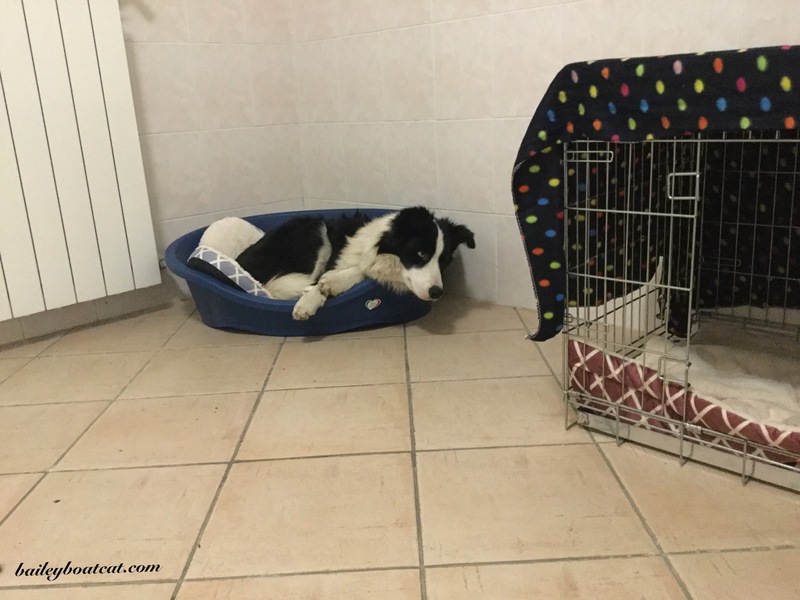 (April didn’t want to share her crate and Blue is much calmer and more trustworthy than April!) We’re all happy with the arrangement. 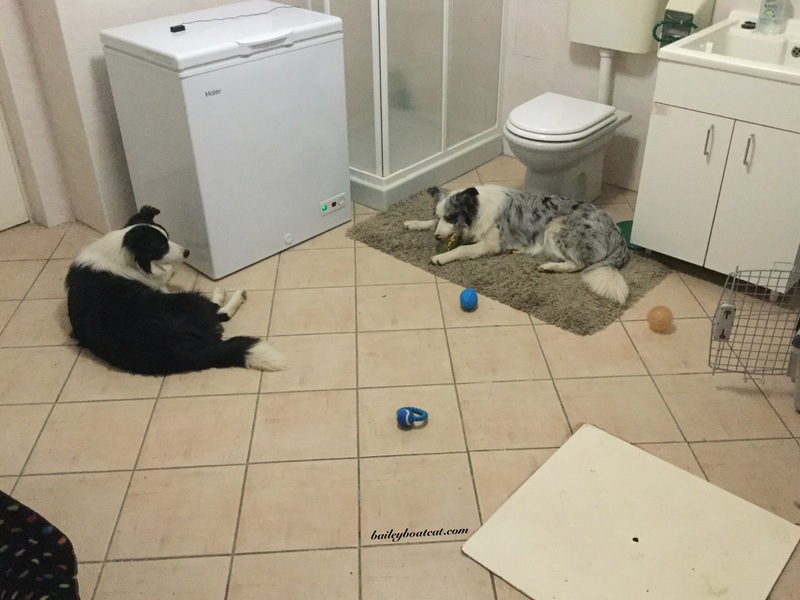 … So we’ve transformed the laundry room into a dog den! We bought a couple of new dog beds. 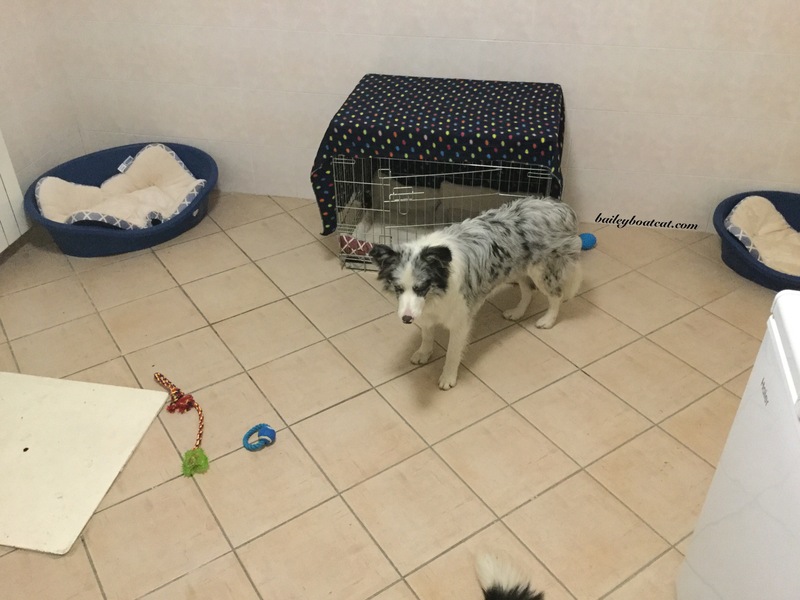 Then we popped in the travel crate and made the old smaller crate (that wasn’t really getting used anymore) into a den and we sprinkled in some toys. I think it looks like a great dog den now! The best bit is, April and Blue seem to really like it too! They won’t have to spend much time in there, but when they do they’ll be comfortable and have fun! Plus, I’ll have the rest of the house to myself! That looks like a nice doggie play area. 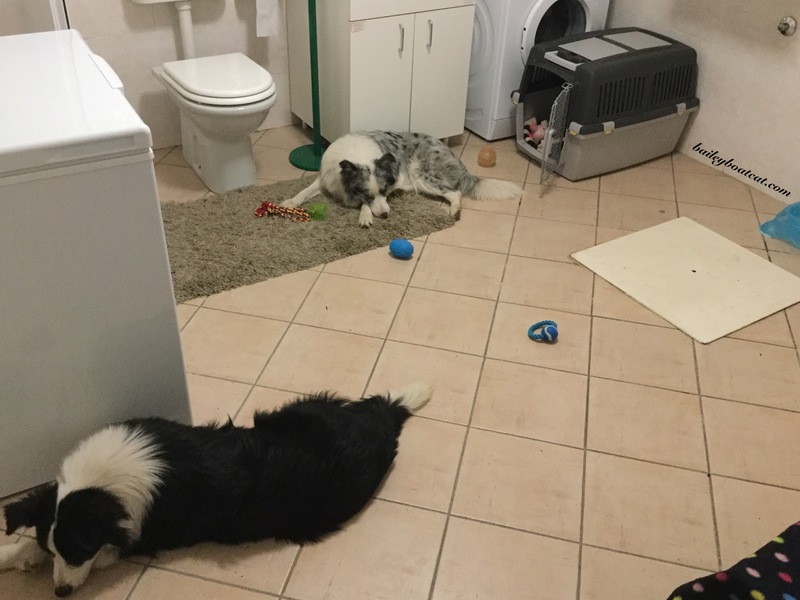 I love that dog den, B. I’m glad the doggies get along so well that they can stay alone together when nobody is there to watch them. That’s awesome. we used to drape a blanket over Dakota’s crate when he was young, he LOVED it! That looks like a wonderful space for the pups to enjoy. It really looks cozy! That is an awesome dog den! Lucky pups! Not everyone gets their very own private doggy den! Nice room and it has everything so that they should be perfectly comfy when they have to stay home. Very nice! Everyone should have their own private space and it works out for you, too, Bailey.